Sonos One blends great sound with Amazon Alexa, the easy-to-use voice service, for future-ready voice control of your music and more*. Its seamless all-black or all-white colour and smooth matte finish fit in any room. The new speaker makes it even easier to access your music. When your phone is hiding or out of reach, touch controls to pause, skip, or turn it up are always a tap away. 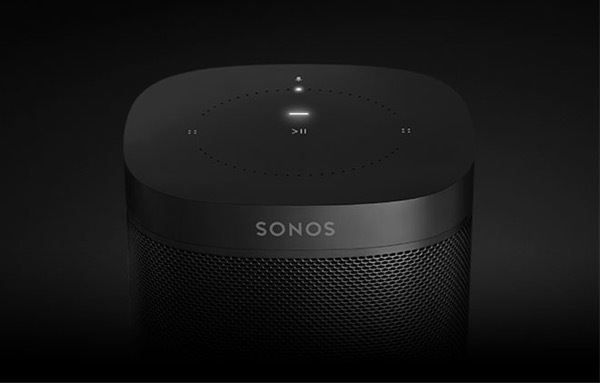 And you can wirelessly connect Sonos One to other Sonos speakers throughout the house for music in any or every room. 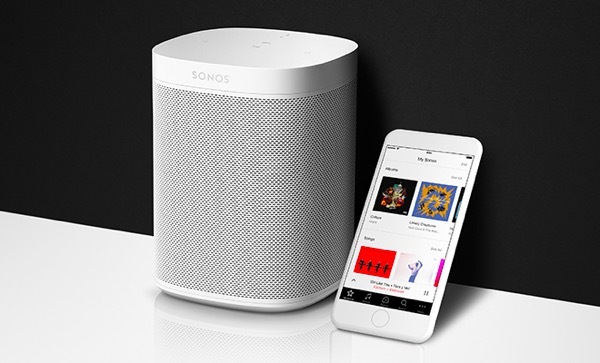 Once Voice control on Sonos becomes available in Canada, the convenient combination of voice service and the Sonos app will allow you to manage everything you listen to in one place. You’ll be able to start and control music just by the sound of your voice when listening to TuneIn radio and iHeartRadio. You can start songs on Apple Music, Deezer, or any other streaming services with the app, then when available, use their voice to skip or replay tracks, pause the music, adjust the volume, and more. Since Sonos and Amazon Alexa are continually introducing new features, services and skills, music and voice options will keep getting better over time. *Please note that Voice control on Sonos is not supported in Canada, yet. These features will be available when Sonos and a voice service launch together in your region. That's not all. Our Voice strategy mimics our music service strategy. Just like we support over 60 music services across the globe, we believe the best customer experience for Voice is when one system supports multiple voice services. We couldn't be more excited to share that in addition to the initial Alexa integration, we'll be adding the Google Assistant in 2018!